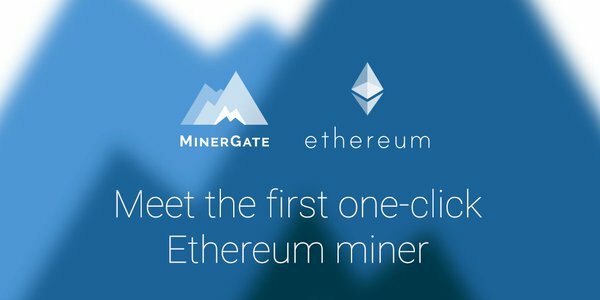 If you searched for getting free cryptocurrency online you probably have seen some faucets. These faucets pay you cryptocurrency in trade for showing advertising. 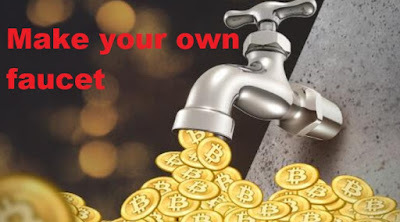 With this guide I will show you how to make make your own faucet completely free and how to make money with them. First, you need an account on this site. After signing up head to "your sites" and click on Create New Faucet. An info screen will pop up. Click on settings and enter the information. 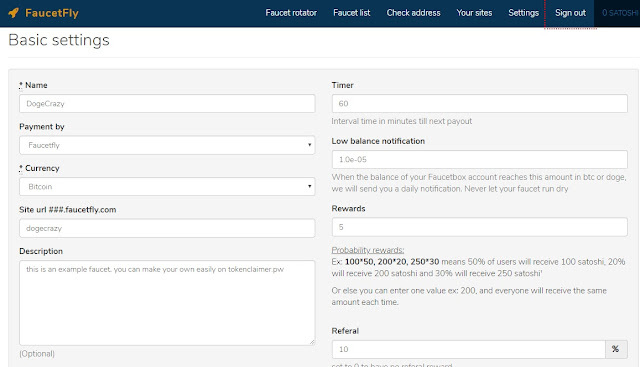 Timer: How long it takes before an user can claim the faucet again. In minutes. Payment by: The payment provider. You need to deposit to the site, or the payment processor you choose so users can collect rewards. Currency: Choose the currency which users can earn. Site url: Pick a nice name for the domain. I recommend using the same as the name you used at the beginning. Description: Add a description which shows in your website. Rewards: The amount people get, in Satoshi. Referral: If you put this at 10%, any user that is referred by another user gets 10% on top of their earnings. Captcha: Sign up with a captcha service and enter the API here. Theme: Choose a theme for the website. Changes the look. All boxes: Here you enter the adcode. If you need advertising providers take a look at A-Ads and Popads. Get the HTML code for generating an ad and put it in each box. Pages tab is used for making more pages, which you can use as landing page so people can be shown another advertisement. 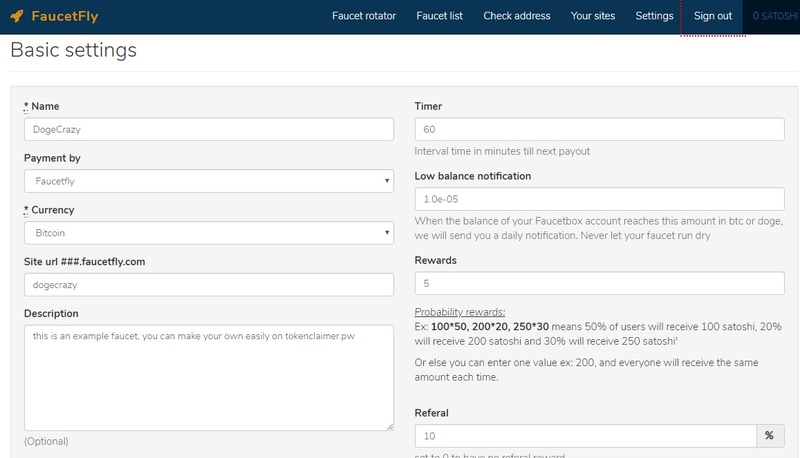 Good luck building your first faucet! If you have questions or suggestions post them in the comments.